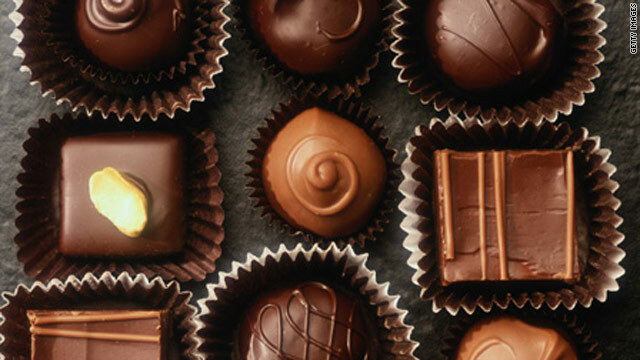 Eating chocolate may be a form of self-medication for depressed people or it may simply be a comfort food. (Health.com) -- When Dina Khiry is feeling a bit down, she reaches for chocolate. "I like Reese's peanut butter cups, Hershey's bars, and chocolate cake batter," says the 24-year-old public relations associate. "I feel better in the moment -- and then worse later on, when I realize that I just consumed thousands of calories."